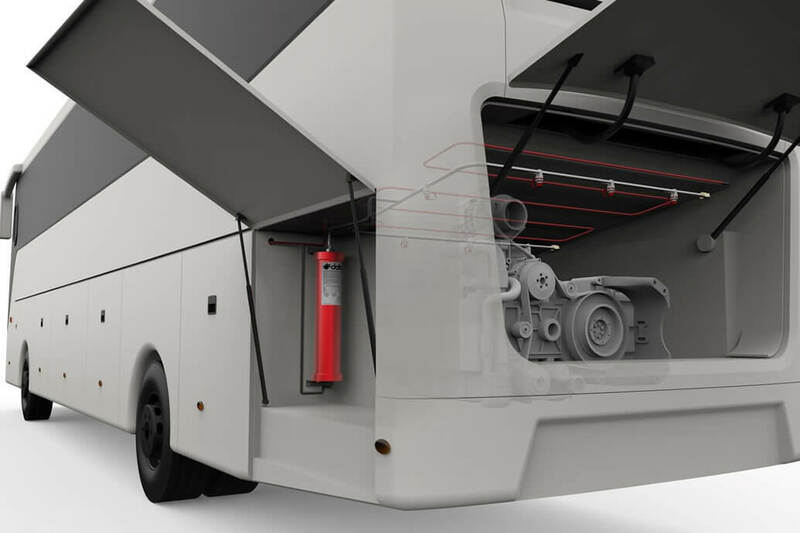 As of July 11, 2018, it is mandatory to install fire suppression systems in buses and coaches for new vehicle types of single-deck, double-deck, rigid or articulated vehicles of category M2 or M3 and specifically vehicles having a capacity exceeding 22 passengers in addition to the driver – “Class III”. Class III vehicles are constructed exclusively for the carriage of seated passengers, more commonly referred to as “coaches”. The requirement applies in the case of vehicles having an internal combustion engine or a combustion heater located to the rear of the driver’s compartment. As of July 11, 2019, this applies to all new Class III vehicles. As of September 1st, 2020, it is mandatory to install of fire suppression systems to new vehicle types of single-deck, double-deck, rigid or articulated vehicles of category M2 or M3 and specifically vehicles having a capacity exceeding 22 passengers in addition to the driver – “Class I and Class II”. Class I vehicles are constructed with areas for standing passengers, to allow frequent passenger movement and Class II vehicles are constructed principally for the carriage of seated passengers and designed to allow the carriage of standing passengers in the gangway and/or in an area which does not exceed the space provided for two double seats, more commonly referred as “city buses”. The requirement applies in the case of vehicles having an internal combustion engine or a combustion heater located to the rear of the driver’s compartment. As of September 1st, 2021, this applies to all new Class I and Class II vehicles. 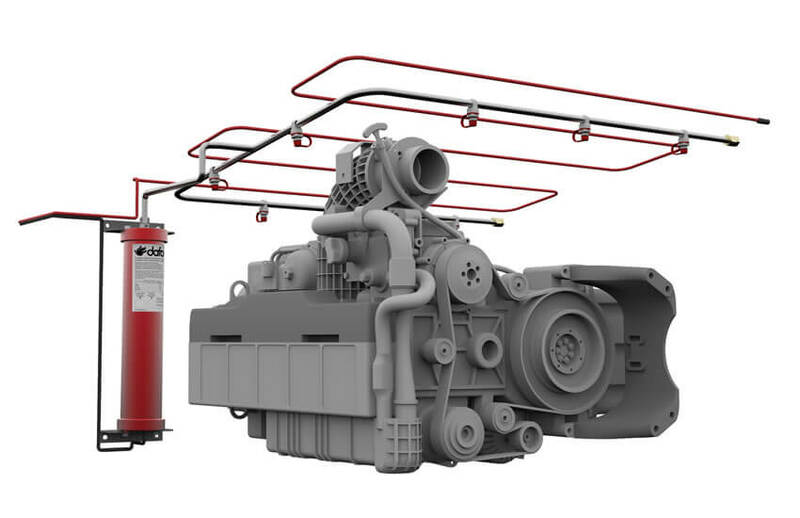 Linear heat detector wire, piping system and nozzles installed above an engine. In 2016 the documents Addendum 106 – UNECE Regulation No. 107 – Revision 6 – Amendment 3 and 5 were published. The documents included a fire testing procedure for fire suppression systems for engine compartments of buses and coaches with 4 tests extracted from SP method 4912. SP method 4912 was developed by RISE Research Institutes of Sweden (former SP Technical Research Institute of Sweden). It is not yet defined how the fire suppression system manufacturer’s UNECE approval will fit in to this process. This will be legislated and regulated through Regulation (EC) No 661/2009/EU.